If you've got a question about our new Hong Kong delivery service, chances are, we've already thought of it first. Take a look through our Frequently Asked Questions below - and if you're still curious, click here to email us. "How long will it take for my order to arrive?" Once you've placed your order, it will typically be dispatched from our warehouse within one to four working days. However, keep in mind that during busy periods, such as in the lead-up to Christmas and during our January sale, dispatch times can increase by up to ten working days. Your order will be delivered by your national post agent between two to four working days after it leaves our warehouse. "Can I track the delivery progress of my order?" Yes. Once your order has been dispatched from our warehouse, you'll receive an email containing a tracking number. Simply enter that number at www.auspost.com.au/track to track the progress of your delivery. "Do I have to sign for my order, or can it be left unattended at my address?" Yes. We require a signature for all orders upon delivery. We're unable to request that your national post agent leaves your parcel unattended at an address, so if no one is present at the delivery address to sign for your order, it'll be taken to the nearest Post office and a card will be left in your mailbox. "Do you ship to PO boxes?" PO box delivery is available on Hong Kong orders. "Are there any products that aren't able to be sent to Hong Kong?" Yes – due to international aviation restrictions, we're not able to send perfumes and aerosols to Hong Kong. You'll receive a notification during the checkout process if any of the items you're ordering can't be sent to a Hong Kong address. "Which payment options do you accept?" 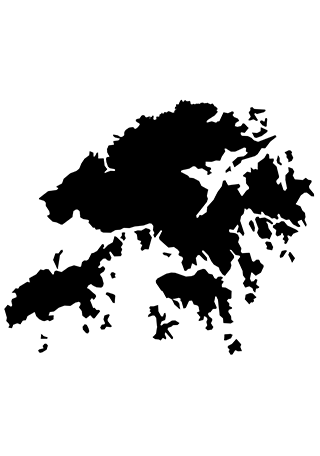 Currently we only accept payment through PayPal for Hong Kong. PayPal is a secure, fast and easy way to pay online - your financial information is kept safe, and PayPal can even handle your currency conversion. If you don't have a PayPal account already, you can sign up here. "Will I have to pay any customs fees or duties?" To find out whether or not your order may attract import duties when entering Hong Kong, please refer to www.customs.gov.hk/en/faqs/cargo_clearance for more information. Such charges are issued by the Government of Hong Kong and are payable by the recipient of the order. The recipient may need to pay these charges before they can take delivery of the order. Any fees or duties are the responsibility of the recipient and cannot be reimbursed by Peter's of Kensington. "Are the prices shown on your website in Hong Kong dollars?" All prices displayed on the Peter's of Kensington website are listed in Australian dollars only. This includes not only product prices, but also any postage charges. This includes the prices for products, and any shipping charges. "How can I work out the current exchange rate between Australian & Hong Kong dollars?" There are several free currency coversion tools online. You can work out the current exchange rate between Australian and Hong Kong dollars using the currency converter at XE.com, or at Bloomberg.com. Please note that the actual conversion rate will depend on your bank, who may make the conversion at a different rate depending on the market. "Does Australia's Goods and Services Tax (GST) apply to purchases delivered to Hong Kong?" No. We'll automatically remove any GST charges on the "Review Order & Payment" page in the Checkout. "Can I mark my order as a Gift, with no dollar value?" Unfortunately, all orders from us require a dollar amount. We are unable to mark any orders to Hong Kong as a gift. "What happens if I receive my order and something has been damaged?" No problem - we'll arrange a replacement for you. Just notify us within 48 hours of receiving your order and we'll arrange to have any damaged items returned. Just call Peter's of Kensington on +61 2 9662 1099 or email us at enquiries@petersofkensington.com.au. You may need to provide a photograph of the damaged item, or return it to us. There are some products we need returned to us before a replacement can be sent. If you are required to return a damaged product, we'll cover the cost of return postage. "I'd like to return the item I purchased. How do I do this? Am I able to get a full refund?" If you've changed your mind about an item in your order, as long as it's unused and in its original packaging, you can return it to us for a store credit to the value of the product. You will be required to pay any postage costs involved in returning the item to us. Before you return a product to us, make sure you contact our Customer Service department first. You can call us on +61 2 9662 1099 or contact us via email at enquiries@petersofkensington.com.au. "Will items that need to be repaired under warranty have to be sent back to Australia?" We'll assess warranty repairs or replacements on a case-by-case basis. We will only request to have the faulty item sent back to Australia if there is no way to have an agent in Hong Kong assess the product or perform the repair. "What do I do if I receive an incorrect item in my order?" Get in touch as soon as you've received your delivery and we'll arrange to have the correct item sent to you. You may need to email a photo of the incorrect item, or return the item to us before a replacement can be sent. We'll cover the return postage in the event you need to return a product. "Can I use electrical goods from Australia in Hong Kong without an adaptor?" All Peter's of Kensington appliances run on the standard Australian 230V at 50Hz, and are fitted with Australian power cords. You will need to take this in to consideration when purchasing any electrical appliance from our store.